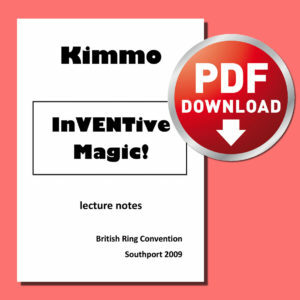 Kimmo’s first ever set of lecture notes, Originally released at the Kidology convention in 2008. Now available as a PDF download. 61 pages packed full of advice and routines. An incredibly strong opening routine, yet it can be carried in your trouser pocket! 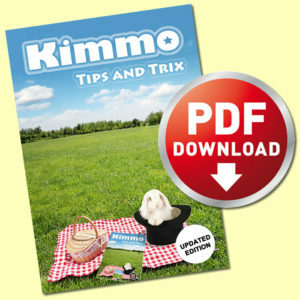 Kimmo’s presentation of this trick, as featured in the act that won the Children’s Entertainer World Championships at Blackpool in 2008. Kimmo’s handling of the half-dyed silk using a palm gimmick (no tube switch) – A routine that gets the kids heckling you that you are cheating by doing real magic! A Magic Painting trick and a massive update on the ‘out to lunch’ principle that blows the other methods out of the water. Since copied by many but none were as good as the original. Easy to make at home. A pun-tastic routine featuring a freely selected, signed card which vanishes, only to appear inside a frame that was being held by the volunteer. One of Kimmo’s favourite routines to perform. Some hints and tips on learning ventriloquism. A routine for the Axtell (or any) BOOK PUPPET. Very funny and with a magical ending, where the book VANISHES! 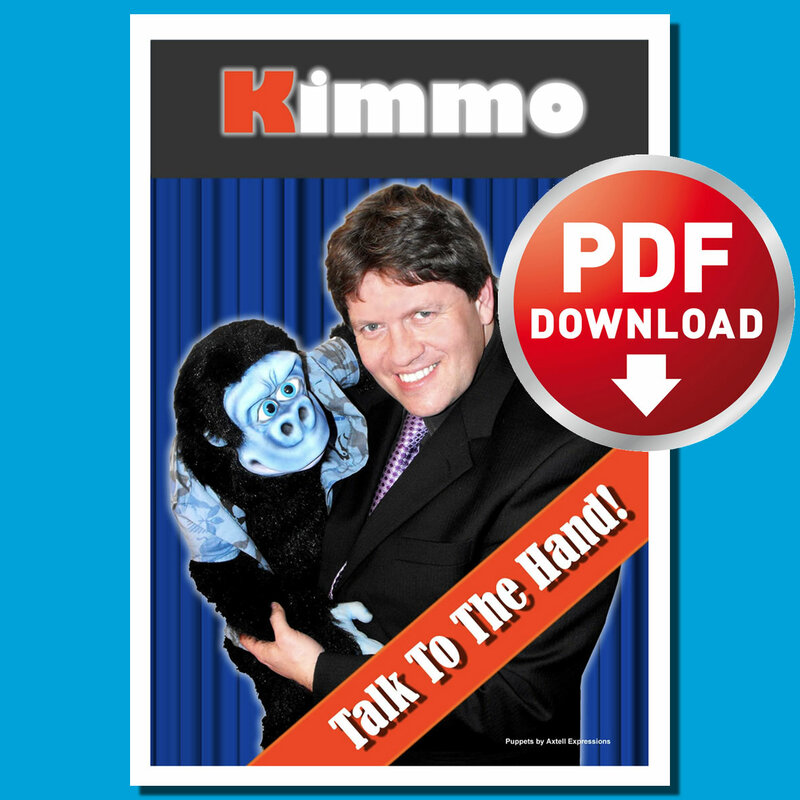 Kimmo’s routine for a gorilla puppet.